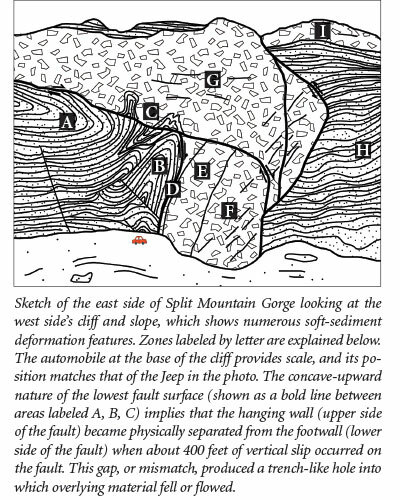 Years ago, Dr. Steve Austin and I wrote a technical article on tight folds in sedimentary rock as evidence for recent creation. 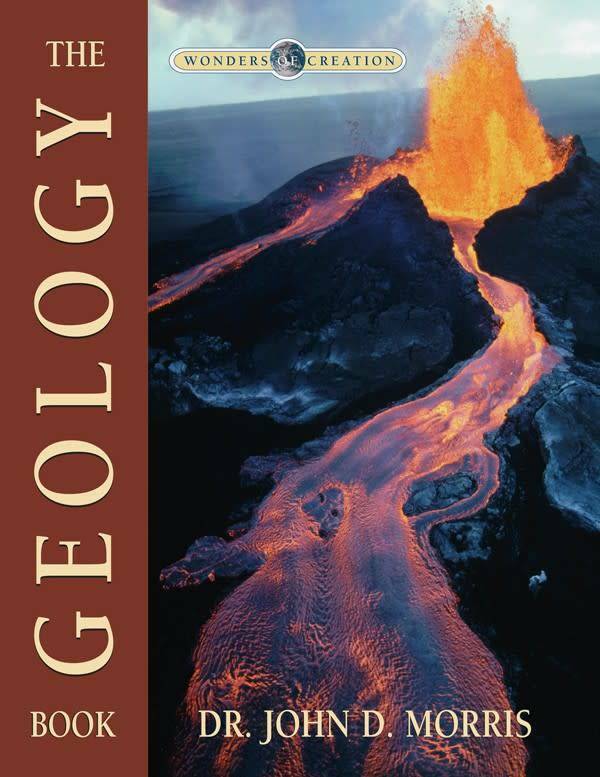 The original article, which was awarded the best paper at the 1986 International Conference on Creationism, contained two studies, one of which is abridged here.1 The evidence we presented then is just as relevant today for showing that Earth’s geology clearly supports the biblical record. Evolutionists and creationists have different views on the origin of sedimentary rock strata. 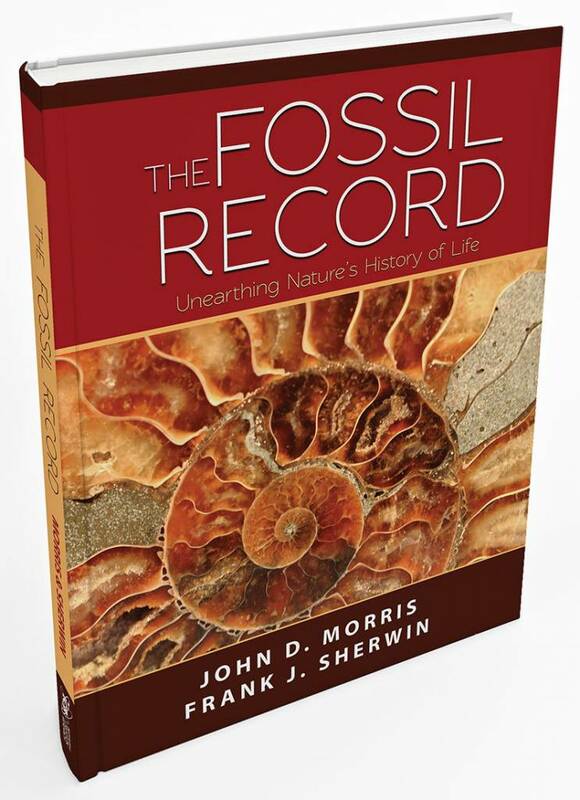 Evolutionists, who uphold the uniformitarian doctrine of 19th-century geologists, suppose that sediments were deposited slowly over millions of years and then hardened into sedimentary rock. This means that soft sediments, however they accumulated, would surely have lithified (hardened into rock) over excessively long periods of time. However, some of these rocks seem to demonstrate the opposite—these layers were clearly deformed before they had time to lithify. Creationists who hold the catastrophist doctrine of Scripture propose that most sedimentary strata were deposited rapidly by Noah’s Flood. They may have undergone deformation soon thereafter, and the total time span of this process represents only thousands of years. Tight folds in the strata clearly indicate that the tertiary sandstone remained in a non-lithified (soft) condition until faulted and folded in the late Pleistocene age several million years after deposition, according to conventional dating. Yet the conditions were ideal for the sediments to lithify (harden) much more quickly than these dates indicate—deep burial (under thousands of feet of sediment) would have consolidated the grains and provided a proper cement to bind them together. 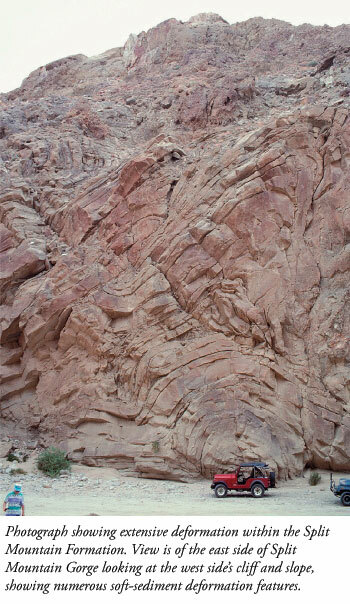 The fold geometry clearly indicates the strata were still in a soft, unlithified condition at the time of deformation!5, 6 This leads to the conclusion that deformation and subsequent hardening could not have happened as long ago as millions of years. Evolutionists have failed to explain how millions of years could have passed while allowing this sedimentary sequence to escape lithification and remain in a soft state, despite deep burial. To justify the passing of so much time, they believe that the sediments were first lithified and then were tightly folded later. They claim that, when deeply buried, rocks can slowly deform extensively. But there is a limit to how much solid rock, notoriously weak under tension, can bend without breaking. And the outer half of each layer would undergo tension at every single bend, leading to breakage. As illustrated in the accompanying sketch and photograph, although these layers were bent excessively, there is no evidence of broken cement grains. Instead, it appears the strata flowed as mud or deformed plastically. All of this leads to the better interpretation that the Split Mountain formation deformed while still soft in a bending “event” rather than slow “creep.” It is clear that the vast ages assigned to the strata are mere assumptions and that the uniformitarian interpretation of the deformation is incorrect. The following images and captions explain what really happened. Zone A: Overturned strata of marine sandstone. The force of impact from the down-drop of fault block G pushed horizontally against the unlithified sandstone, overturning the strata. Zone B: Underturned strata of marine sandstone. Drag caused by the rapid fall of block F severely disrupted zones D and E and underturned the unlithified sandstone strata in B, producing this spectacular fold. Zone C: Mushroom-like masses of sandstone intruded into the boulder breccia (a sedimentary rock made of older, broken rocks). Between zones A and B, the sandstone was neither overturned nor underturned but was injected into the downfaulted block G. Individual sandstone strata in these “mushroomed” masses have severe plastic deformation. Zone D: Mixed zone of sand and boulders. Intense shearing of the down-faulted block F against the zone B disrupted both sand and boulders, producing the mixing of materials. The sand grains and boulders (sandstone and boulder breccia) could not have been lithified at the time of faulting. Zone E: Sheared boulder breccia. Shearing of block F destroyed remnant bedding, rotated individual boulders, and homogenized the constituents of the boulder breccia. Zone F: The hole into which block F fell becomes narrower as it goes deeper, which produced a space issue and contributed to the deformation of zones B, D, and E.
Zone G: The wider part of the hole above block F was filled by the fall of a second larger block that deformed zones A and C. Some leftover or remnant bedding still exists in block G, shown by line segments. Zone H: Slightly deformed marine sandstone forming the right side of the fault. Zone I: Undisturbed sedimentary boulder breccia overlying the marine sandstone immediately underneath. The remnant bedding of the middle-marine sandstone is in places tightly folded, overturned, inverted, and injected but rarely broken by secondary faulting as might be expected if the rock beds were in a rigid state during deformation. Thus, data require that the beds had not yet had time to harden into rock and that they deformed while still in a fresh, plastic state. Rapid emplacement of the boulder breccia is demanded by the following: 1) the presence of a highly sheared, fine-grain zone immediately underlying and/or adjacent to the overhanging fault, 2) remnant bedding of the boulder layer having been broken on impact, and 3) the fact that an instantaneously created fault gap will not stand empty in the subsurface. The conventional dating assigned to the lowest Pliocene, marine sandstone of the Split Mountain Formation assumes an age of several million years. The age assigned to the soft-sediment deformation is middle or late Pleistocene—within the last million years. This dating system assumes that sediments, in a state of deep burial, stayed soft and pliable for millions of years or that the hard, brittle rocks bent with virtually no breaking or cracking! 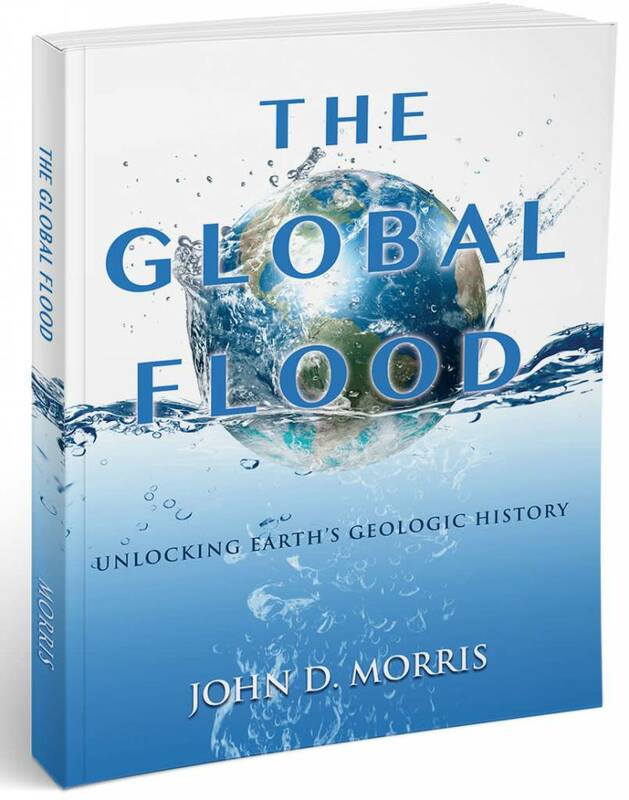 The rocks, however, tell us a different story—one in which the recent global Flood laid down immense deposits of sediments in a short amount of time. Soon after, the subsequent folding of these sediments, while they were still unlithified, produced the dramatic deformation we observe today. God’s hand was in the Flood event…the rocks bear witness to this cataclysm and still speak to us today. 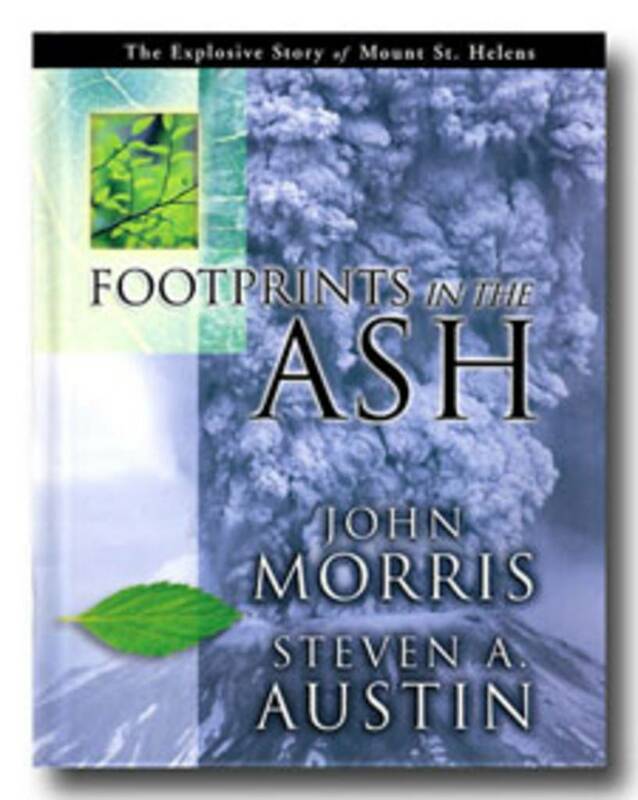 Austin, S. A. and J. D. Morris. 1986. Tight Fold and Clastic Dikes as Evidence for Rapid Deposition and Deformation of Two Very Thick Stratigraphic Sequences. In Proceedings of the First International Conference on Creationism. R. E. Walsh, C. L. Brooks, and R. S. Crowell, eds. Pittsburgh, PA: Creation Science Fellowship, 3-13. Dibblee, Jr., T. W. 1954. Geology of the Imperial Valley Region. California Division of Mines Bulletin. 170, Chap. 2, 21-28. Kerr, D. R., S. Pappajohn, and G. L. Peterson. 1979. Neogene Stratigraphic Section at Split Mountain, Eastern San Diego County, California. In Tectonics of the Juncture Between the San Andreas Fault System and the Salton Trough, Southeastern California: A Guidebook. Crowell, J. C. and A. G. Sylvester, eds. Santa Barbara, CA: University of California Department of Geological Sciences, 111-123. Robinson, J. W. and J. L. Threet. 1974. Geology of the Split Mountain Area, Anza-Borrego Desert State Park, Eastern San Diego County, California. In Recent Geologic and Hydrologic Studies, Eastern San Diego County and Adjacent Areas. Hart, M. W. and R. J. Dowlen, eds. San Diego, CA: San Diego Association of Geologists, Guidebook, 47-56. Scott, G. R. 1963. Geology of the Kassler Quadrangle. U.S. Geological Survey Professional Paper 421-B, Geologic Map of California, San Diego-El Centro Sheet. Sacramento, CA: California Division of Mines and Geology, 71-125. Woodard, G. D. 1974. Redefinition of Cenozoic Stratigraphic Column in Split Mountain Gorge, Imperial Valley, California. American Association of Petroleum Geologists Bulletin. 58: 521-526. * Dr. Morris is President of the Institute for Creation Research and received his Ph.D. from the University of Oklahoma. Cite this article: John D. Morris, Ph.D. 2013. Soft-Sediment Deformation: Recent Flood Evidence. Acts & Facts. 42 (10).